After working with an architect and builder to redesign their sunroom and master bath, my clients felt they needed help finalizing details and picking out material. 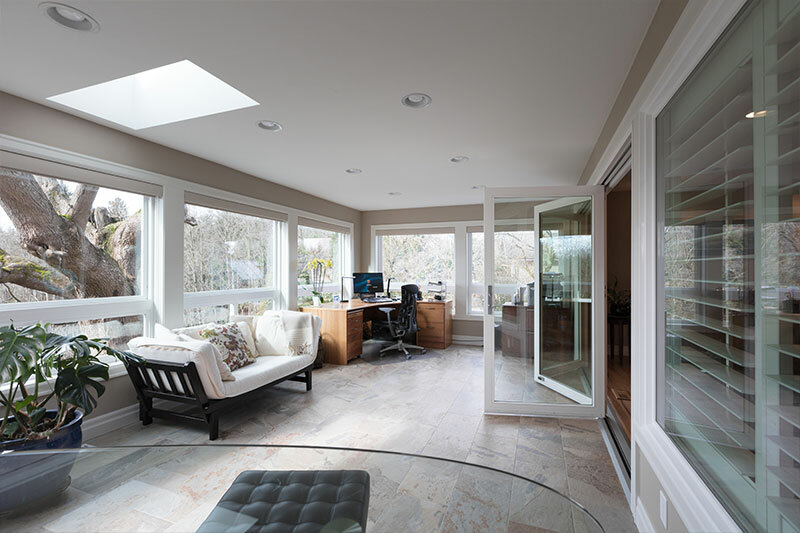 The project consisted of tearing down the existing sunroom, rebuilding it and extending the roofline to allow for a bigger master bath and viewing deck on the floor above. To maintain the view and abundance of natural light in the sunroom, we kept the West wall all windows and added matching windows to the North wall. My clients wanted the sunroom to flow better with the rest of the living space, which we achieved by removing a good portion of the separating wall and installing a NanaWall. 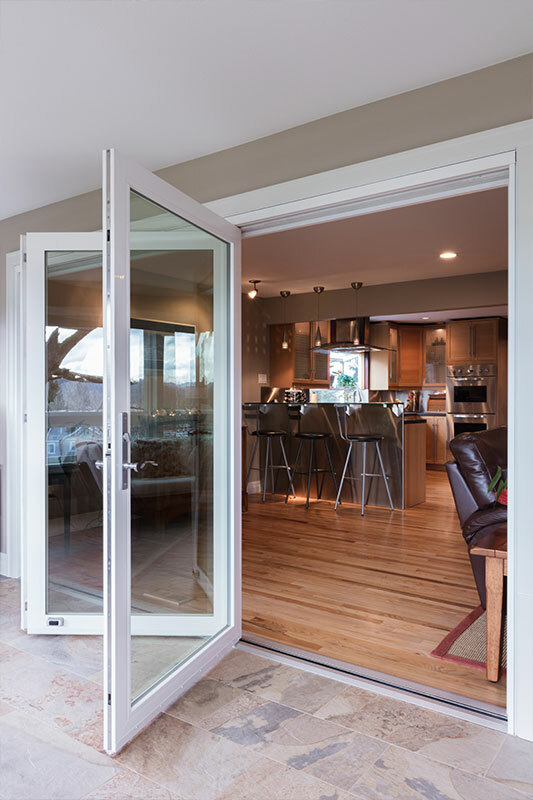 This created a more cohesive flow between the rooms while still giving them the option to close off the sunroom, as desired. 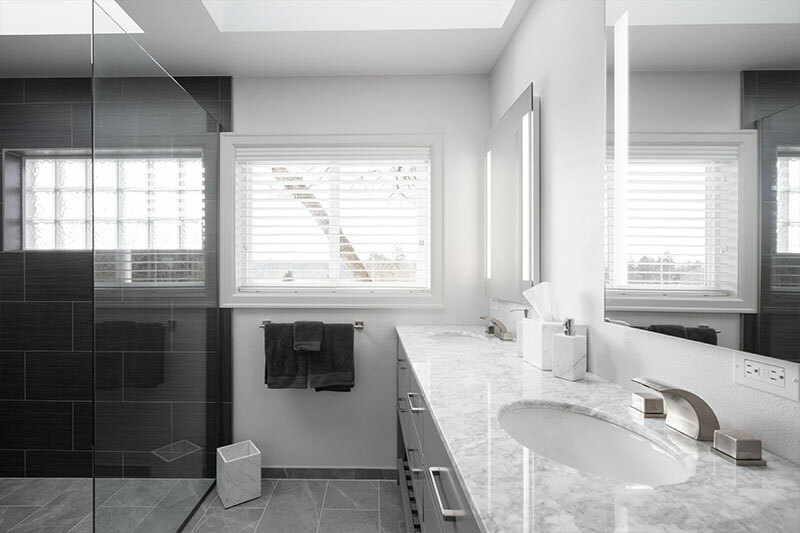 Upstairs, my clients wanted to renovate their master bath in a sleek and sophisticated way that would balance nicely with the new décor in their bedroom. 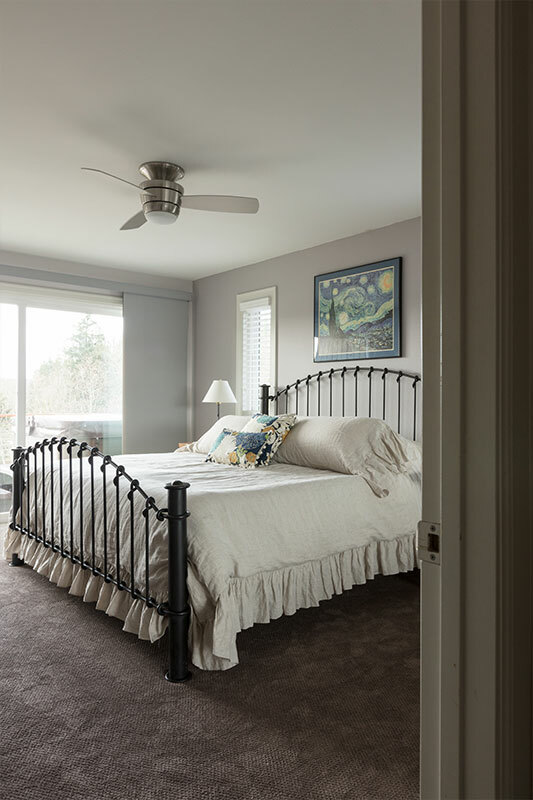 In the bedroom, we decorated with softer tones and textiles while adding a punch of color to give the room a little life. 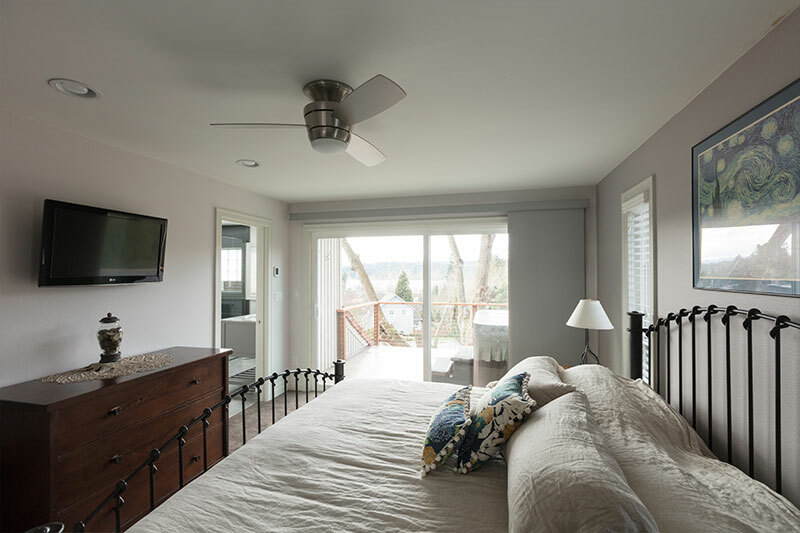 The calmness of the room creates a nice backdrop for the amazing view of Lake Sammamish that can be enjoyed inside or by stepping out on their new deck. 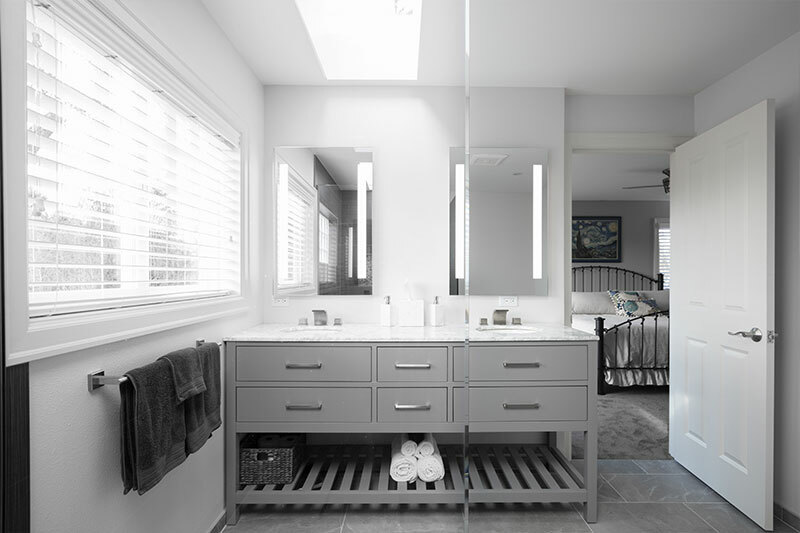 The master bathroom houses a more serious tone with varying shades of gray, sharper edges and sleek details in the fixtures. 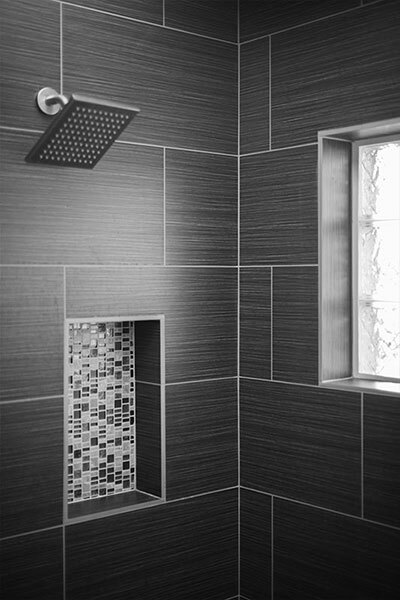 Natural light, bright walls, light accent tile and an open floor plan keeps the bathroom from feeling cramped and drab with its dramatic, oversized walk-in shower and dark color scheme. Erin came highly recommended to us by a realtor friend. 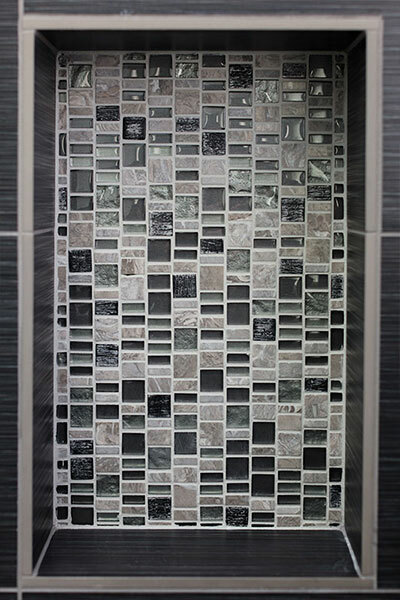 We were astonished by Erin’s vast knowledge of architecture and design. 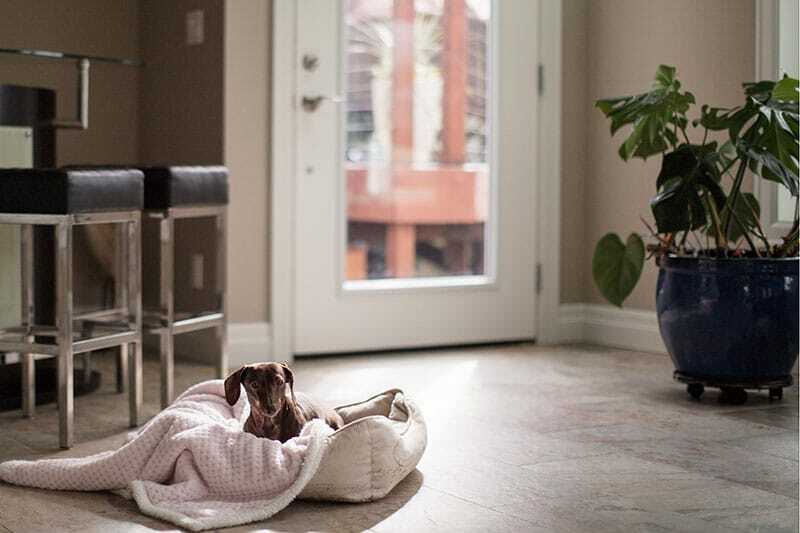 She not only helped us choose colors, tiles, textures, and accessories but offered to advise about the actual remodel that helped us with some major decisions. Erin introduced us to HOUZZ where we purchased most of the furniture, fixtures, and accessories for our remodel.